Boston Handmade: February - Celebrate! February is, as are all the months of the year, a celebratory month for many organizations. It's the American Heart Month sponsored by the American Heart Association, it's the Children's Dental Health Month sponsored by the American Dental Association and it's the Weddings Month sponsored by the Association of Bridal Consultants of America. With all those and so many more celebrations this month how do you choose which to "honor"? Well it's totally up to your sensibilities and what you'd like to support. Isn't it lucky that next year, you can switch it up and it won't matter at all. Every year I honor the athletes, inventors, philosophers and civil rights activists that went before me so that today, I have opportunities beyond my grandparents dreams. Black History Month is not sponsored by any one organization, but is recognized by many. 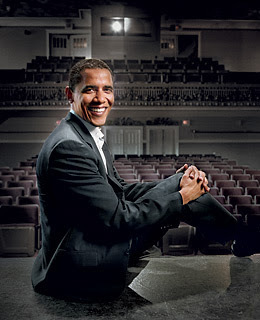 This Black History Month I'd like to take the opportunity to recognize POTUS (President of the United States). On January 20, 2009 Barack H. Obama became the first black man to be sworn in as the President of the United States. Throughout the country people held Inauguration viewing parties, Inauguration balls and other celebrations in recognition of this historic achievement. However, Mr. Obama himself will tell you that he got to the position of President standing on the shoulders of the great men and women who paved the way before him. People like Harriet Tubman, Frederick Douglass, Martin Luther King, Jr. and countless others. People who put their lives and loves at risk because they believed in a better future for the generations to come. He'll also tell you that he went from the shoulders to the wave of this generation's belief that things could get better. I, like many, was apprehensive when Barack Obama threw his lot in to run for President. He was smart, willing to speak against the "establishment" and growing in popularity. Surely he was risking life and limb for this quest. Then It occurred to me that all those who paved his way, did it in this same way. They new what the worst case scenario could be, and they moved forward anyway. Because the value of the outcome has to always outweigh the fear of the outcome. So today the United States of America is led by a black man, raised by a white family in Hawaii and abroad. Whether you voted for him or not, it should be a point of happiness to know that we, as a country, are moving in the right direction, where maybe we can all allow the value of the outcome to outweigh the fear of the outcome. In my simple place in the world, I push forward with my adventures in yarn everyday, with the idea that the fear that creeps up now and then, is not my boss, but the rotor that keeps me moving! Happy February Celebrations! Super Sedie – I attended the inauguration with my 17 yr old son, and when President Obama stepped up to the podium and delivered his acceptance speech I knew we were in good hands and that our country was finally being lead by an intelligent, thoughtful and accountable man who through his own personal diversity has been blessed with the ability to see the world more clearly. Yeah us! Great post Sedie, very inspiring. I also believe that we are in good hands. Hooray Sedie! I loved reading your post today. I'm thrilled with our new leader and only hope he can bridge the partisan sentiments at congress. I, too, am overjoyed with our new president. Having him as our leader, and knowing all that was overcome to get there, fills me with so much optimism and hope for our future. I feel proud to be an American again!